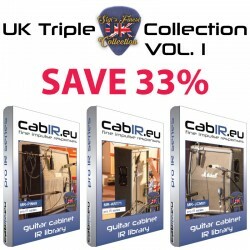 SAVE 33%: The UK Triple Collection VOL.1 Bundle contains 3 speaker cabinet impulse response libraries: Cab-Packs included: MR-PIN68 + MR-ART71 + MR-JCM81. 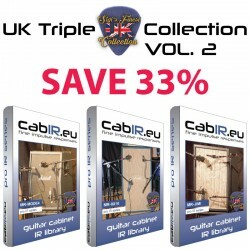 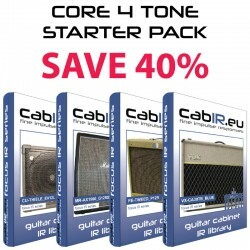 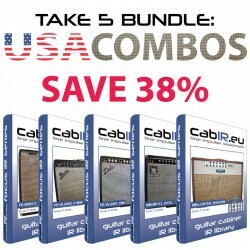 SAVE 33%: The UK Triple Collection VOL.2 Bundle contains 3 speaker cabinet impulse response libraries: Cab-Packs included: MR-MODE4 + MR-8X10 + MR-JIMI. 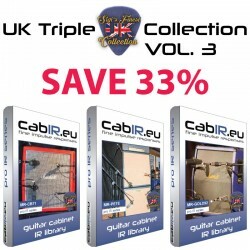 SAVE 33%: The UK Triple Collection VOL.3 Bundle contains 3 speaker cabinet impulse response libraries: Cab-Packs included: MR-CB71 + MR-PETE + MR-GOLD92.